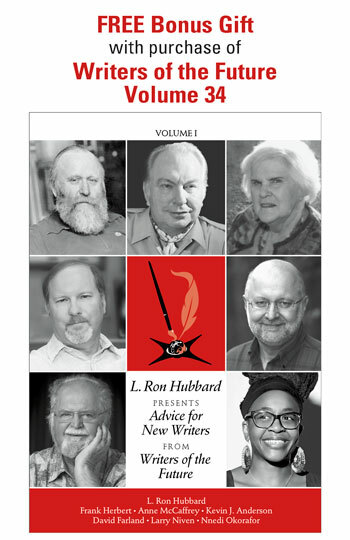 With the release of L. Ron Hubbard Presents Writers of the Future Volume 33, we are proud to introduce 14 talented new authors and artists of science fiction and fantasy. These short stories are a creative mix of speculative fiction by different writers, asking unique “what ifs.” To help give them a boost, we have organized a Book Bomb for today, April 12th, and are urging you to join us in supporting these newly published authors. WHAT IS A BOOK BOMB? A Book Bomb is an event where participants purchase a book on a specific day to support the author, or in this case, authors of a particular title. You can purchase Writers of the Future Volume 33 through Amazon.com, Barnes & Noble, Books-A-Million, or at your local Independent bookstore. These stories were selected by the top authors of speculative fiction who are judges in the Writers of the Future Contest, household names in the field: David Farland (coordinating judge and editor), Kevin J. Anderson, Doug Beason, Gregory Benford, Orson Scott Card, Eric Flint, Brian Herbert, Nina Kiriki Hoffman, Yoji Kondo, Nancy Kress, Todd McCaffrey, Rebecca Moesta, Larry Niven, Jody Lynn Nye, Nnedi Okorafor, Jerry Pournelle, Tim Powers, Mike Resnick, Kristine Kathryn Rusch, Brandon Sanderson, Robert J. Sawyer, Robert Silverberg, Dean Wesley Smith and Sean Williams. So you know you are getting the best, selected by the best. If you like to read entertaining and cutting edge sci-fi or fantasy, then this book is for you. If you are an aspiring writer, then this is a must read as it contains the latest trends in the genre plus articles on the art and craft of writing by professionals in the field. WHAT IS IN THE BOOK? This latest edition includes 14 stories selected by the judges (12 winners and 2 finalist stories) and illustrations by the winners in its companion contest–Illustrators of the Future. 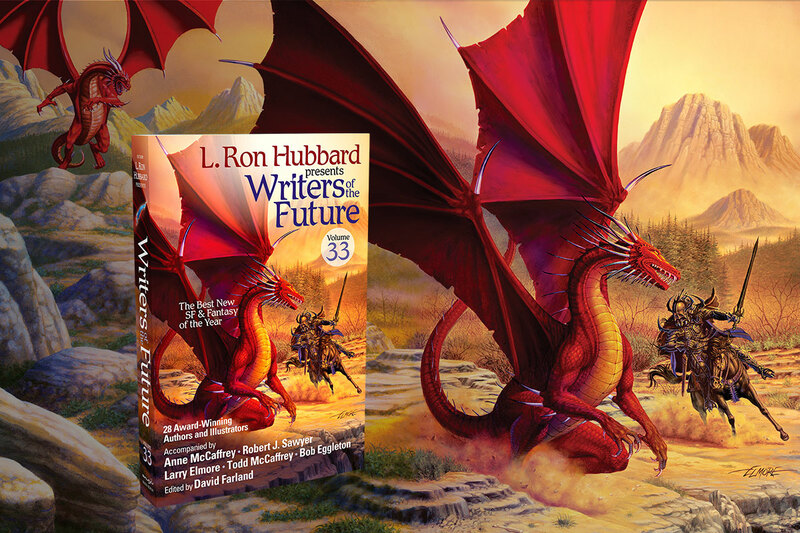 In addition to the stories, there are three bonus short stories (including one never before published about dragons by Todd McCaffrey) along with articles on the business of writing and illustrating by L. Ron Hubbard, Anne McCaffrey, Robert J. Sawyer, Larry Elmore, Todd McCaffrey and Bob Eggleton. To meet our new authors and artists, be sure to follow our daily blogs features. And thank you! We greatly appreciate your support as do all of our talented new writers and artists featured in this year’s anthology.